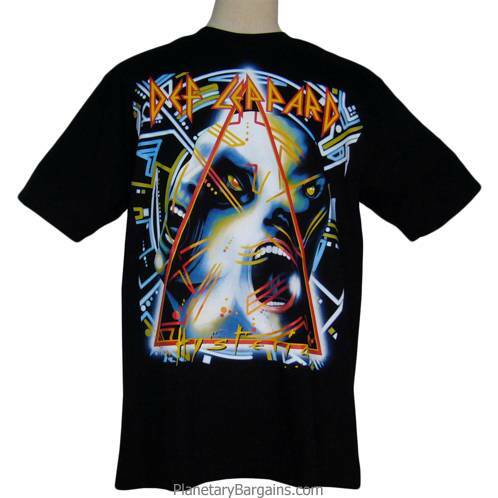 Own this 100% Cotton Def Leppard Hysteria T-Shirt. To buy one of these limited quantity shirts press the orange button above now. Def Leppard are an British rock band formed in Sheffield England as part of the New Wave of British Heavy Metal movement in 1977. The band has consisted since 1992 of Joe Elliott (lead vocals), Rick Savage (bass, backing vocals), Phil Collen (guitar, backing vocals), Rick Allen (drums, backing vocals) and Vivian Campbell (guitar, backing vocals). This is the band's longest-standing line-up. 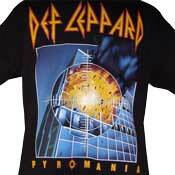 Def Leppard's fourth studio album, Hysteria was released on August 3 1987 and reissued on January 1 2000. 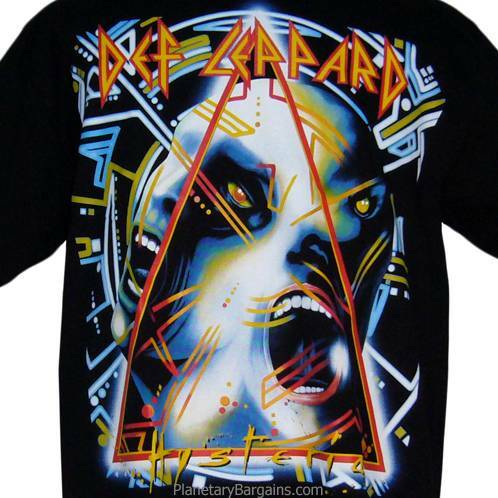 It is Def Leppard's best-selling album to date, over 20 million copies were sold worldwide, including 12 million in the US, spawning seven hit singles. The album charted at #1 on the UK Albums Chart and Billboard 200.